The New York Science Fiction Society, Lunarians (2), Inc., Board of Directors announced they will not be holding a Lunacon in 2018. After skipping 2015, Lunarians succeeded in bringing back Lunacon, their proprietary convention, for each of the past two years, however it is going on hiatus again. It was felt that, even though the 2016 and 2017 Lunacon’s were mostly creatively successful conventions, under the current circumstances, and looking at the time frame and other issues, the Board and the Membership of the organization felt that it would be difficult to present a convention of the high caliber and quality that the Lunacon attendees and its guests deserve and have come to expect. “Lunacon has been a part of the New York area fannish community for over 60 years, but times have changed, fandom has changed and is more diverse, and, unlike years ago, there are many other events and conventions for our target audience to go to.”, said Stuart C. Hellinger, Lunarians (2) President. Lunacon information is available via social media at: www.lunacon.org/ , on Facebook, and on Twitter: @lunaconsf. 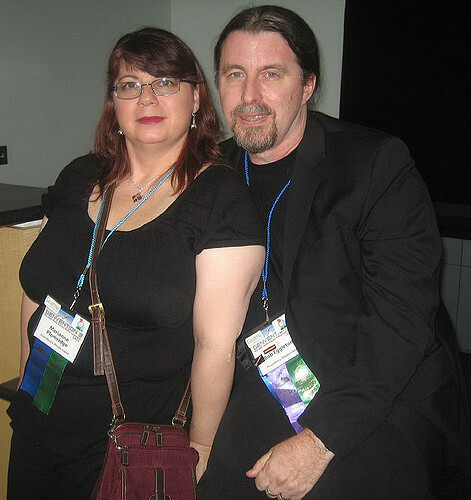 Marianne Plumridge and Bob Eggleton in 2008. The New York Science Fiction Society – the Lunarians (2), Inc. – has announced Bob Eggleton will be Artist Guest of Honor and Marianne Plumridge will be Special Guest Artist at Lunacon 2017. They join others already on the marquee, Ben Bova as Writer Guest of Honor, Roberta Rogow as Fan Guest of Honor, and the Boogie Knights as Musical Guests. Over the years, Bob has done art for comics, collectible card games, and book covers for many well-known authors, as well producing as his own illustrated books and art books. “Publishers love artists that slam out the work and sell their books,” he says. Appropriately, his work will be featured on the cover for the upcoming novel by our Writer Guest of Honor, Ben Bova. The Lunacon 2017 Art Show will be exhibiting his work throughout the Convention weekend. Marianne Plumridge, Special Guest Artist, and Bob’s wife, works mainly in the fields of fantasy and adventure, with occasional forays into science fiction. “When I embarked on a creative career,” she relates, “I started out as a writer. When I found that I could tell the story in paint, the writing sort of fell by the wayside.” Her art history started in her native Australia, where she honed her black and white illustration skills for fan magazines, and earned her the Australian Science Fiction Media (ASFMA) Award for Best Australian Media Fanartist. Lunacon 2017 will be held on the weekend of April 7 – 9, 2017 at the Westchester Marriott Hotel, 670 White Plains Road, Tarrytown, NY 10591-5104. The Lunarians will hold Lunacon 2017 from April 7-9, 2017 at the Westchester Marriott Hotel in Tarrytown, NY. The Marriott previously hosted Lunacons from 1986-1990. Stuart C. Hellinger, Lunarians (2) President, outlined the reasons behind these decisions. After Lunacon 2016, we spent some time reviewing everything that happened during the convention and we realized that even though our hotel had hosted 22 of the previous 24 Lunacons, it no longer fit the convention’s needs or that of our attendees. There were issues with the function space, the hotel layout, other concerns that worked against the convention and its enjoyment by our members. Accordingly, we decided to reevaluate what we were doing and reach out to other hotels to see if we could find a better property that would enhance the Lunacon experience. The Westchester Marriott will nicely fits our needs. The primary function space is on one level, with only a handful of smaller, breakout rooms on another floor, easily accessible by the hotel’s elevators. In addition, the Marriott has more than enough bedrooms and two excellent restaurants on site. There is even a major supermarket practically next door. In the event that there are additional bedrooms needed, there are other hotels a short distance away, including a Courtyard by Marriott. John W. Upton will chair the convention. His Guests of Honor will be announced as soon as they have been confirmed. For information about memberships rates, follow the con on social media. Hellinger also explained why the convention is being held in April, although past Lunacons have been in March. When the Marriott advised that our preferred dates in March were not available, but offered the first full weekend in April 2017, we looked at a calendar and made the decision that, while the date change would not be ideal, the later dates had many advantages to benefit Lunacon and its attendees. The April date means Lunacon 2017 won’t have a scheduling conflict with HELIOsphere, the new convention led by a former Lunacon chair Mark Richards which debuts March 10-12, 2017 – also in Tarrytown, New York. The New York Science Fiction Society (Lunarians) has announced two writers have won 2016 Donald A. & Elsie B. Wollheim Memorial Scholarships. Taimur Ahmad of New York, New York received a Scholarship to attend the 2016 Clarion West Writer’s Workshop in Seattle, Washington. Matthew Dunn of Stewart Manor, New York was given a Scholarship to attend the 2016 Odyssey Writing Workshop in Manchester, New Hampshire. Both scholarships are in the amount of $300. The Scholarship Fund, created in 1989, was renamed in 1991 to commemorate Donald A. Wollheim, legendary sf fan, writer, editor and publisher of DAW Books. 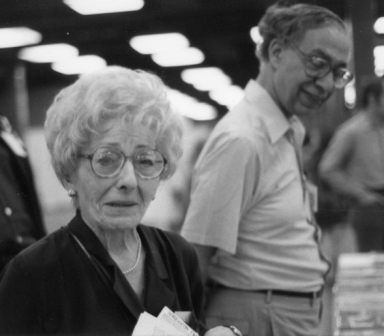 The Fund was renamed in 1996 after the passing of DAW Books co-founder Elsie B. Wollheim. The fund aids students from the Greater New York Metropolitan Area who want to participate in writers workshops such as Clarion, Clarion West and Odyssey. Much of the money for the fund is raised each year at Lunacon, when books and other materials donated to the Convention Book Exhibit are raffled. Donations are also accepted. The 2016 Lunacon chair position, vacant since Mark Richards resigned at the end of December, has been filled by a three-member Executive Committee of former Lunacon chairs: Mark L. Blackman, Stuart C. Hellinger and John William Upton. The directors also announced the deadline for convention pre-registration from February 22 to February 29. The convention is scheduled to take place March 18-20 at the Hilton Westchester in Rye Brook, New York. The Lunarians skipped the 2015 edition of the con in order to reorganize and address financial issues. It’s with a considerable measure of sadness that I take this step. My position as Chair has become politically and organizationally untenable. While I can go into detail as to the whys and wherefores that have made it impossible for me to continue, I would prefer to leave that discussion for another time and place. I do not feel that the circumstances under which Lunacon and Lunarians are currently operating will allow me to continue with the lead in presenting the type of convention I envisioned when I took on this task. I feel I am no longer in a position where I can contribute positively to Lunacon. As I do not anticipate those circumstances changing in the immediate future (or at least soon enough to matter), I feel I must step aside. I am proud of what I have accomplished, such as the choices I made for guests of honor. I hope that what input I have made contributes to the success of the convention…. Stuart C. Hellinger, President, New York Science Fiction Society – the Lunarians (2), Inc. wrote that the organization will soon make an official response. Richards was named chair of Lunacon 2016 last January. The Lunarians skipped the 2015 edition of the con in order to reorganize and address financial issues. 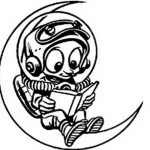 Lunacon, New York’s longest-running sf&f convention, is making a comeback in 2016 but needs more seed money to make it happen. The committee has started an Indiegogo appeal to raise $8,000. As you may also know, Lunacon has gone through some trouble recently. We almost lost the convention altogether, but we managed to save it at the last minute. A new Lunarians corporation was formed, and is now under the leadership of our new Board President (Stuart C. Hellinger) and our 2016 Lunacon Chair (Mark W. Richards). We’re restructuring the Lunarians club and the Lunacon convention. We’re trying to bring back some members who have drifted away in recent years, draw in some new blood, and revitalize both the convention and the club as a whole. However, we need your help. That’s where this fund-raiser comes in. All of this is rather expensive: not only are we paying to store all of materials for the masquerade, the art show, and all our other events, but we need to give deposits to our hotel and vendors, purchase food and materials for things like the con suite, cover expenses to bring in our Guests of Honor, and generally have some cash on hand in case of emergencies. Right now, we’re looking for $8,000 for our base goal, but if it looks like we’re getting there, we might add in some stretch goals as well! Lunacon 2016 will be held March 18-20 at the Hilton Westchester with Guests of Honor Robert J. Sawyer, Rick Sternbach and Naomi Novik. Mark Richards was named chair of Lunacon 2016 at a meeting of the New York Science Fiction Society – the Lunarians – on January 11. The club had skipped the 2015 edition of the con in order to reorganize and address some financial issues. 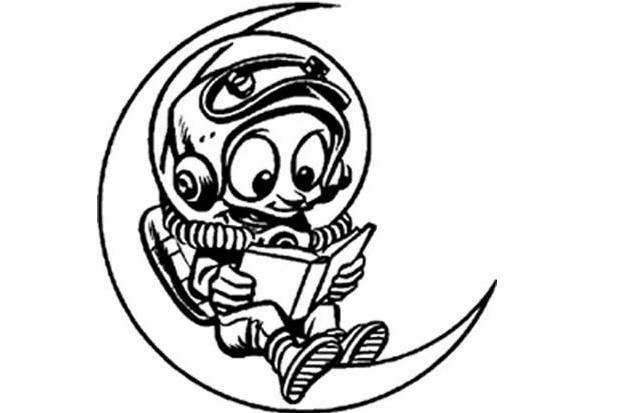 The New York Science Fiction Society, Lunarians, Inc., has decided against having a Lunacon in 2015. Club leaders had been discussing whether the group has the financial resources to continue the series of conventions it has run every year since 1957. People who bought a membership in Lunacon 2015 will be contacted and offered the choice of a refund or a rollover to a Lunacon 2016 membership.